Plants & Increased CO2: A Golden Era for Agriculture? Join us on the Road to Discovery across Canada as we use the Thermo Scientific™ Delta Ray™ Isotope Ratio Infrared Spectrometer (IRIS) to continuously measure the CO2 concentrations and the 13C and 18O isotopic values to better understand our environment. We will feature stories on climate change, greenhouse gas emissions, air quality, agriculture and forests, melting glaciers, the deep carbon cycle and seismic activity, and carbon sequestration. This road trip is a joint collaboration of scientists from Thermo Fisher Scientific Inc. and our Canadian partner, Isomass Scientific Inc.
Join us on our #DeltaRayRoadTrip! We'll be driving across Canada in a RV (aka motor home) retrofitted as a functional lab to measure carbon dioxide concentrations & isotopic values to better understand our environment. Studies are showing that increased atmospheric CO2, the result of burning of fossil fuels, are being absorbed by the oceans resulting in the acidification of water. This poses substantial risks to all types of marine ecosystems and impacts the physiology, behavior, and population dynamics of all species. One of the most impacted organisms by ocean acidification are coral reefs which are key ecosystems in the oceans. Coral reefs are vulnerable to temperature and pH levels of water and this in turn puts ecosystems dependent on corals in danger. Listen to Prof. Marcus Elvert, Sr. 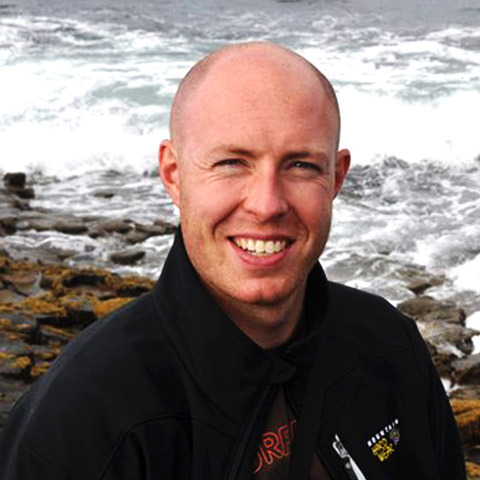 Scientist at MARUM University (Germany) talk about ocean acidification in this podcast. Do you agree that the rise in carbon dioxide (CO2) will usher in a new golden age where food production will be higher than ever before and most plants and animals will thrive as never before? Most scientists disagree because while plants do like elevated CO2, other factors, such as weather patterns, water, soil, and ozone levels, affecting plant efficiency will be adversely affected by climate change. Watch Dr. Graham Pearson, University of Alberta (Canada) discuss his research on deep carbon using diamonds extracted from the Earth’s mantle in this video. Geologists believe that up to 90% of carbon--the backbone of all life--is located in the deep Earth. This CO2, also known as deep carbon, carries valuable information about the processes deep below the Earth's surface. The Deep Carbon Cycle refers to the movement of CO2 from ocean depths and seismic activity up to the Earth's surface through a volcano. 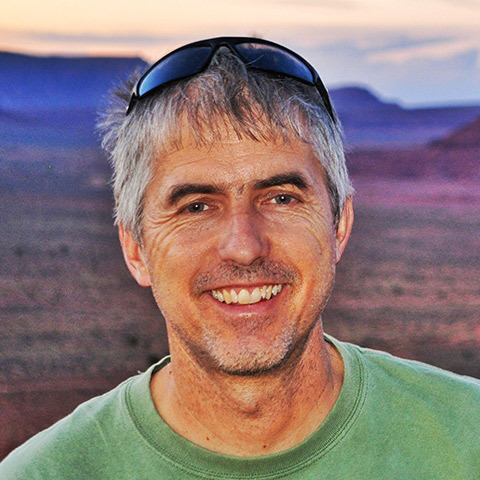 Listen to this fascinating podcast featuring Dr. Gary Michelfelder, Assistant Professor of Geology, University of Missouri, on measuring deep carbon in extinct volcanoes. Did you know that inland waters are also among natural sources of greenhouse gases because sunlight breaks down carbon-rich plant and soil material in the lakes to release carbon dioxide into the atmosphere? A recent study of over 1000 lakes in Sweden was able to model how much carbon dioxide was produced by the breakdown of carbon-rich materials.The researchers calculated that sunlight is responsible for up to 10% of the total carbon dioxide that comes from lakes and reservoirs worldwide. Glaciers have been shrinking very fast over the last decades worldwide; for example, Kilimanjaro in Kenya has melted more than 80% in the last 100 years and researchers believe that most central and eastern Himalayan glaciers could virtually disappear by 2035. A study has found that 70% of Canadian glaciers could disappear by the end of this century. The melting of glaciers is of deep concern because it turns out that glaciers are critical to the Earth and its ecosystems and their survival because even though they only cover 10% of the Earth's land, they hold about 77% of Earth's freshwater. Did you know that globally, urban air pollution has been linked to 1 million premature deaths and more than 1 billion people are exposed to outdoor air pollution annually? The impact continues into economics: urban air pollution is estimated to cost approximately 2% of GDP in developed countries and 5% in developing countries. The sources of air pollution can range from natural and anthropogenic causes. Gases released by humans have been recognized as a cause of stratospheric ozone depletion further damaging the atmosphere that is essential to support life on Earth. Carbon sequestration is the process by which CO2 is captured and then placed into long-term storage in subsurface saline aquifers, reservoirs, oceans, aging oil fields and soils. The goal of removing atmospheric carbon is to mitigate or defer climate change and hence avoid destabilizing ecosystems on Earth. Biological carbon sequestration includes peat bogs, reforestation, wetland restoration, agriculture and reducing emissions. Many geoengineering techniques, such as ocean iron fertilization, urea fertilization, and mixing ocean layers are under study to find effective solutions to store CO2. Forests are critical to supporting life on Earth and are vital for the existence of our bio-diverse ecosystems, are sources of energy, provide humans with livelihoods, and are major influencers on our climate. Scientists are concerned about how forests will adapt in context of a changing climate, and how it will affect humans. 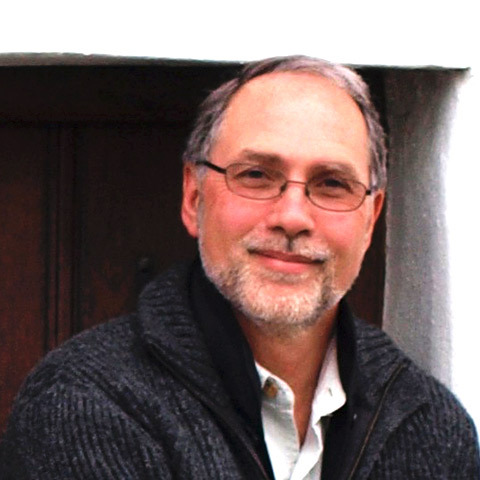 President of Isomass Scientific Inc.
Peter's interest and passion for mass spectrometry started in 1980 when he started working as a test and installation engineer in the UK. The first instruments he worked on were stable isotope mass spectrometers and, to this day, stable isotope research remains his primary interest. After immigrating to Canada in 1990, Peter joined Isomass Scientific Inc. and now runs the company. Peter received his degree in 1980 from the Huddersfield Polytechnic in the UK. He is keenly interested in climate change, carbon sequestration, greenhouse gas, and Arctic geochemistry research. Peter came up with the idea of driving across Canada in a mobile lab featuring the Thermo Scientific Delta Ray instrument because Canada offers such a diversity of applications of isotopic analysis ranging from ocean acidification, seismic activity, urban air pollution to carbon sequestration projects under way in Canada. Senior Service Engineer with Isomass Scientific Inc.
Tony began working with mass spectrometers in the Stable Isotope Laboratory at the University of Calgary (Canada) when he was working on his undergraduate degree in physics. After a number of years working in the mining industry, Tony joined Thermo Fisher Scientific Inc. in Germany as a field service engineer for mass spectrometers throughout Europe. In 2012, Tony returned to Canada to join Isomass Scientific Inc. He received his B.Sc. in Physics from the University of Calgary (Canada). Tony is very interested in the advances of technology and the new opportunities such advances present for exploring and gaining a better understanding of the environment and the world around us. 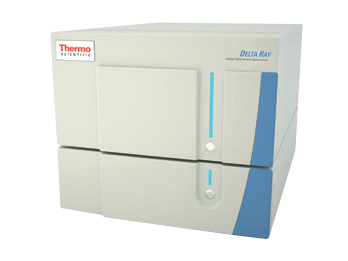 Product Manager for the Thermo Scientific Delta Ray Isotope Ratio Infrared Spectrometers. He received his Ph.D. from the University of Berne in Switzerland in Applied Physics. For his thesis, he studied the ozone layer using ground-based microwave remote sensing. HJ then moved to California and worked initially as a postdoctoral researcher and later as senior scientist on various NASA air- and balloon-borne atmospheric research field campaigns all over the world. His interest in isotope ratio infrared spectrometry started back in 2004, when he built a first prototype, and gained more momentum after joining Novawave Technologies in 2006. After the acquisition of the company by Thermo Fisher Scientific Inc., HJ moved from R&D to his current product management role.